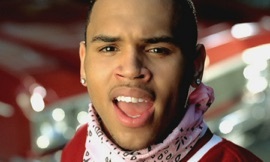 Chris brown is so hot in this video!!!!!! UR SO GAY. U CAN'T SING UR UGLY. THIS IS THE BEST SONG IN THE WORLD!!!!!!!!!!!!!!!!!!!!!!!!!!! Kiss Kiss is chris brown at his best. Oubviously, hes in the bloods! LUV VIDEO NOT CHRIS BROWN!! I love this song and video! but Chris Brown really needs to get a life! I mean beating Rihanna! I saw the picture ! It was sooo bad! He lost alot of fans by doing that! I know we all make mistakes but he could have controlled it or gotten help! Its really sad when people are abused!! LOVE U RIHANNA!